Bald eagle at Blue Lake, Sinlahekin WLA (photo by Justin Haug). The bald eagle population has made a dramatic recovery in Washington and the U.S. in recent decades since its listing under the federal Endangered Species Act in 1978 and the banning of the pesticide DDT. Bald eagles (Figure 1) are now a common breeding bird near low elevation water bodies in much of Washington (Seavey 2005). The state’s population is supplemented by many wintering eagles that breed in northern Canada; these birds winter along Washington rivers with substantial salmon runs (Watson and Pierce 2001). Recent estimates for the lower 48 states total nearly 10,000 nesting pairs. The U.S. Fish and Wildlife Service initially proposed federal delisting the bald eagle in 1999, but this was delayed while protections under federal laws were clarified and a long-term monitoring plan was developed (USFWS 2007). The species was removed from the Endangered Species Act in 2007 and was downlisted to state sensitive in Washington in 2008. Bald eagles are affected by shoreline development, fisheries, and forest management, and there is a continued need to conserve nesting habitat and foraging opportunities. Only 105 pairs of bald eagles nested in Washington in 1980 (Watson et al. 2002). 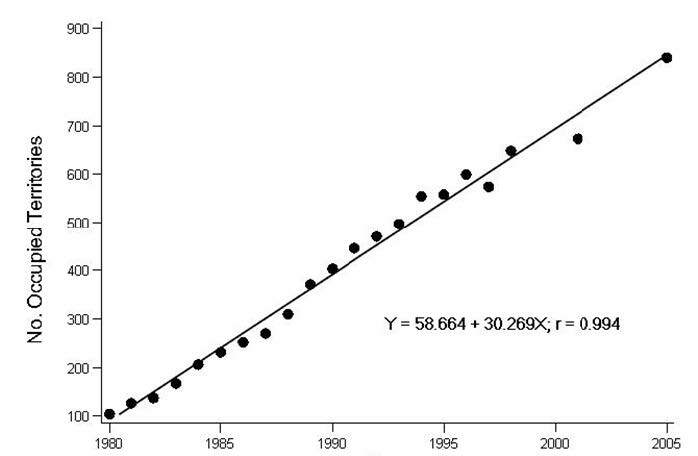 From 1981-2005, the nesting population in the state increased 707% (Figure 2). The last statewide surveys conducted in 2005 at 1,125 known territories recorded 840 occupied nests (Stinson et al. 2007). A few subpopulations, such as along western Olympic Peninsula rivers and on Lake Roosevelt, appear to still be increasing. However, recent declines in nest occupancy rates in parts of western Washington suggest that the population is approaching saturation in other areas (Stinson et al. 2007). The appearance of nests in developed areas may also be related to increased competition for optimal nesting sites. Recent research in southern British Columbia found that the recovering bald eagle population may be limited by increased competition for winter chum salmon (Oncorhynchus keta) (Elliott et al. 2011). Declines in late winter salmon stocks may have forced eagles to exploit more marginal food supplies and as a result, may have increased late winter eagle mortality. Bald eagles can be found in all the forested parts of Washington throughout the year, but they are much more abundant in the cooler, maritime region west of the Cascade Mountains than in the drier eastern half of the state. Bald eagle nests are most numerous near marine shorelines, but nests are also found on many of the lakes, reservoirs, and rivers of Washington. Few birds eat as wide a variety of foods as do bald eagles. Fish are usually the most common prey taken throughout North America, but bald eagles also capture a variety of birds, particularly waterfowl (Stalmaster 1987). In Washington, bald eagles often raid gull and seabird roosts or nesting colonies to prey on adults, nestlings, and eggs (Watson 2002). Bald eagle protection and management. The state bald eagle protection rules (Appendix A) were amended in 2011 to apply to eagles only when they are listed as endangered or threatened. Because eagles are now listed as Sensitive, the previous requirement to develop state bald eagle management plans is no longer in effect. While WDFW will not be asking local governments to require management plans prior to issuing local permits, they may continue to protect eagles under local critical areas ordinances pursuant to the Growth Management Act. Bald eagles remain protected under state and federal law, and landowners must still comply with the federal Bald and Golden Eagle Protection Act to avoid impacting eagles. 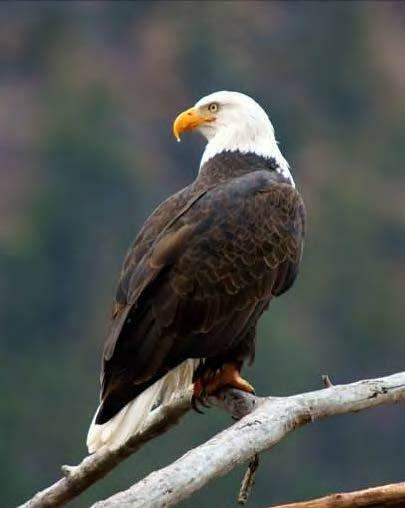 Information on bald eagles can be found at the WDFW website at: http://wdfw.wa.gov/conservation/bald_eagle/ and at the federal website at: http://www.fws.gov/pacific/eagle/index.html . Winter communal night roosts and important foraging areas are also protected. In 2012, two dead bald eagles from Okanogan County were sent to labs for necropsy and toxicology work. Both bald eagles were found to contain toxic levels of lead in their systems, presumably from lead shot, bullets, or fishing tackle ingested with their prey. Post-delisting monitoring plan. A federal Post-delisting Monitoring Plan was completed in 2009 (USFWS 2009). The status of the bald eagle will be monitored nationally by collecting data on occupied nests over a 20-year period with sampling events held once every 5 years. The sampling scheme was developed after a pilot study that included surveys in Washington and several other states. The first monitoring surveys were done in 2009, and the 2nd round is scheduled for 2014. The sample design is based on an 80 percent chance of detecting a 25 percent or greater change in occupied bald eagle nests over any period, measured at five-year intervals. If such declines are detected, the USFWS’s Bald Eagle Monitoring Team in conjunction with the states will investigate causes of these declines. The result of the investigation will be to determine if the population of bald eagles in the contiguous 48 states warrants expanded monitoring, additional research, and/or resumption of Federal protection under the Endangered Species Act. The USFWS will conduct a final review at the end of the 20-year monitoring program. Eaglecams. The Eaglecam was the first WildWatchcam project to appear on the WDFW website. Initiated in 2000, the project continues to bring the home life of eagles to peoples’computers all over the world via the internet. The Eaglecam website receives about ½ million ‘hits’ each nesting season and has been highly successful in informing and educating the public about eagles and their conservation. Partners and cooperators: U.S. Fish and Wildlife Service, Washington Department of Natural Resources, Joint Base Lewis-McChord, U.S. Forest Service. Elliott, K. H, J. E. Elliott, L. K. Wilson, I. Jones, and K. Stenerson. 2011. Density-dependence in the survival and reproduction of bald eagles: linkages to chum salmon. Journal of Wildlife Management 75:1688-1699. Seavey, J. R. 2005. Bald eagle. Pages 111-112 in T. R. Wahl, B. Tweit, and S. G. Mlodinow, eds. Birds of Washington: status and distribution. Oregon State University Press, Corvallis, Oregon. 436 pp. Stalmaster, M. V. 1987. The Bald Eagle. Universe Books. New York. 227 pp. Stinson, D. W., J. W. Watson, and K. R. McAllister. 2007. Washington state status report for the bald eagle. Washington Department of Fish and Wildlife, Olympia, Washington. 86 pp. USFWS (U.S. Fish and Wildlife Service). 2009. 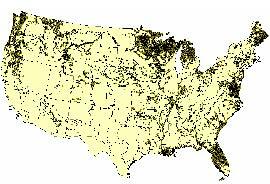 Post-delisting Monitoring Plan for the Bald Eagle (Haliaeetus leucocephalus) in the Contiguous 48 States. U.S. Fish and Wildlife Service, Divisions of Endangered Species and Migratory Birds and State Programs, Midwest Regional Office, Twin Cities, Minnesota. 75 pp. Watson, J. W., and D. J. Pierce. 2001. Skagit River bald eagles: movements, origins, and breeding population status. Washington Dept. of Fish and Wildlife, Olympia, Washington. 80 pp. Watson, J. W., D. W. Stinson, K. R. McAllister, and T. E. Owens. 2002. Population status of bald eagles in Washington at the end of the 20th century. Journal of Raptor Research. 36:161-169.